The University of California San Diego School of Global Policy and Strategy’s Center for U.S.-Mexican Studies recently released a report with steps the U.S. and Mexico can take to make each other safe. The white paper lists 13 recommendations for both nations to achieve bilateral cooperation on security, drug and border policy. It also includes strategies for both countries to address challenges that undermine trust between government and law enforcement officials, such as corruption, human rights violations, weapons trafficking and money laundering. The report was developed within today’s context, addressing challenges both countries have faced over the last two decades­­: M­­exico experienced intense and rising levels of criminal violence and at the same time, the U.S. has been facing a deadly opioid epidemic. Although instigated by the over-prescription of legal opioids, the epidemic has recently become partially fueled by opioid supply from and through Mexico. López Obrador, who assumed office in Dec. 2018, and U.S. President Donald Trump have divergent views on security policy priorities; however, both Mexico and the U.S. have shared security interests. López Obrador, for example, has declared an end to the war on drugs in Mexico. Meanwhile, Trump seeks to construct a wall along the U.S.-Mexican border, casting serious doubt on burgeoning security cooperation. The report outlines how cooperation is achievable through three categories of joint policy action: aligning policy objectives, deepening subnational cooperation and addressing the corruption and criminal activities that damage trust between the two countries. 1. Creating a bilateral coordination group to reconcile the priorities of both nations. 2. Enhancing cooperation on a subnational level and building cooperation with the National Guard. 3. Training for the criminal justice system and establishing joint investigative operations. 4. Establishing or re-activating international liaison units. 5. Creating a joint U.S.-Mexico taskforce on fentanyl disruption. 6. Exchanging best practices on drug abuse prevention and harm reduction strategies. 7. Enhancing bilateral cooperation to strengthen community policing approaches in Mexico. 8. Enhancing cooperation regarding criminal groups working through and from Central America. 9. Separating cannabis regulation from security cooperation. In addition, the report list strategies to address the chronic threats to building trust between government and law enforcement officials of both countries. With great urgency, the report recommends the two governments should take steps toward combating corruption, countering violations of human rights, countering weapons trafficking and tackling money laundering. According to Farfán-Méndez, the recommendations currently engaging policymakers the most are creating a bilateral coordination group to reconcile the priorities of both nations, establishing joint investigative operations and creating a joint U.S.-Mexico taskforce on fentanyl disruption. The white paper was developed by the center’s U.S.-Mexico Security Cooperation Taskforce. 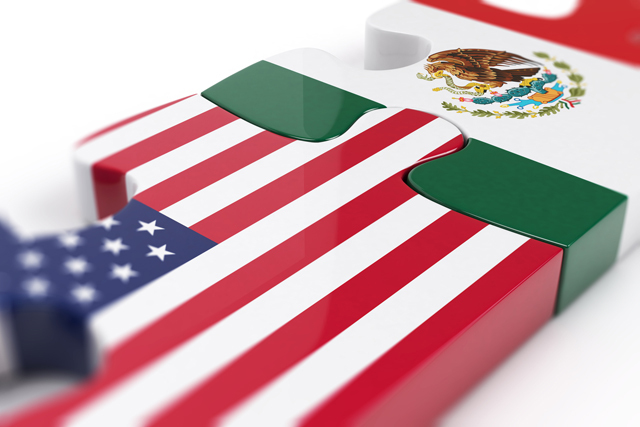 Comprised of a select group of scholars and government officials from both the U.S. and Mexico, the taskforce was convened last year to produce policy recommendations to Mexico’s new congressional leaders and presidential administration. Fernández de Castro, Farfán-Méndez and Ambassador Earl “Tony” Wayne presented their key findings at the Brookings Institution in Washington D.C. on March 27 hosted by Vanda Felbab-Brown, a senior fellow at Brookings and co-author of the report. At the event, Mexican Ambassador to the United States Martha Bárcena Coqui delivered the keynote remarks and for the first time, spoke publicly on López Obrador’s security strategy. For the full white paper on U.S.-Mexico security cooperation, go to this webpage.